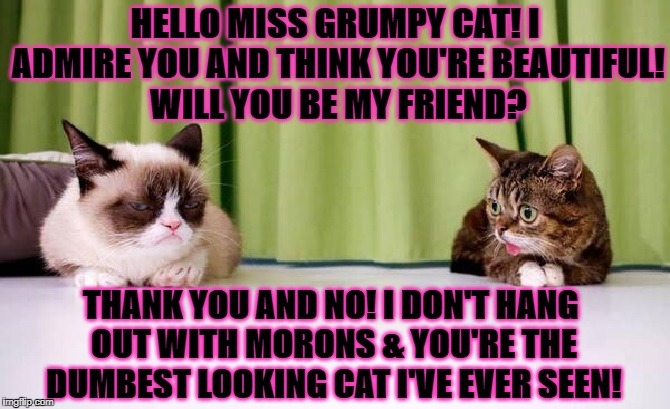 HELLO MISS GRUMPY CAT! I ADMIRE YOU AND THINK YOU'RE BEAUTIFUL! WILL YOU BE MY FRIEND? THANK YOU AND NO! I DON'T HANG OUT WITH MORONS & YOU'RE THE DUMBEST LOOKING CAT I'VE EVER SEEN!